There is something about home that’s magic… whether it’s the joy of friends and family, a wagging tail at the door, or that quiet place you feel at your very best. This is the environment we foster at every InvesTek residential community. 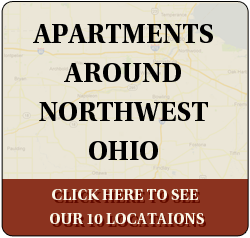 We do so by bringing exceptional apartment and townhome communities together with talented commercial and residential management teams who’ve spent their careers establishing clean and comfortable properties across our home market of Northwest, Ohio. Then we introduce the most important element of all—you. Looking for a bit of magic? Visit our properties on-line or in person to learn more, then let us make one of our apartments your next home.